We are happy to say that there will be a new family on Muldrew Lake. Particularly exciting to us is that this family is new to Canada, has never cottaged before, but really want to live a “classic Canadian lifestyle,” and they decided, what better way than to cottage in Muskoka. More details on their beautiful property here. 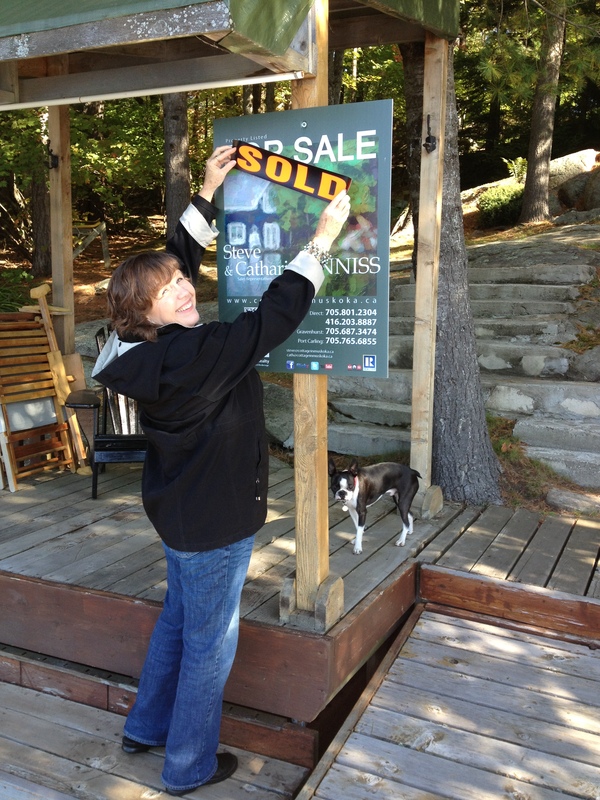 Catharine is always happy to add the SOLD sticker. Bentley sneaked in to the photo.